When I was first contacted by Molly about the maternity session, it was such a short notice. Their scheduled photographer didn’t show up the day of the session and they needed someone quick to fill in. Luckily, I was able to move things around to fit them in because only two days after our maternity session Molly went into labor. I am also super glad that we were able to make it work because I got to meet the sweetest couple ever and we didn’t miss out on capturing these very precious memories. Molly and Manju picked the Lafayette Reservoir as their location for the maternity photoshoot. Normally the Lafayette Reservoir is not my first choice but in this case, it was the only right choice for the couple. They got married there a year prior and for them the Lafayette Reservoir is a special place. During the entire session these two acted like they are still on their honeymoon. It was so obvious to me how much love is between them. Also, during this session, I’ve grown to love this location and now it will definitely be on my list of favorite spots. I especially loved going close to the water’s edge and getting those beautiful sunset shots. 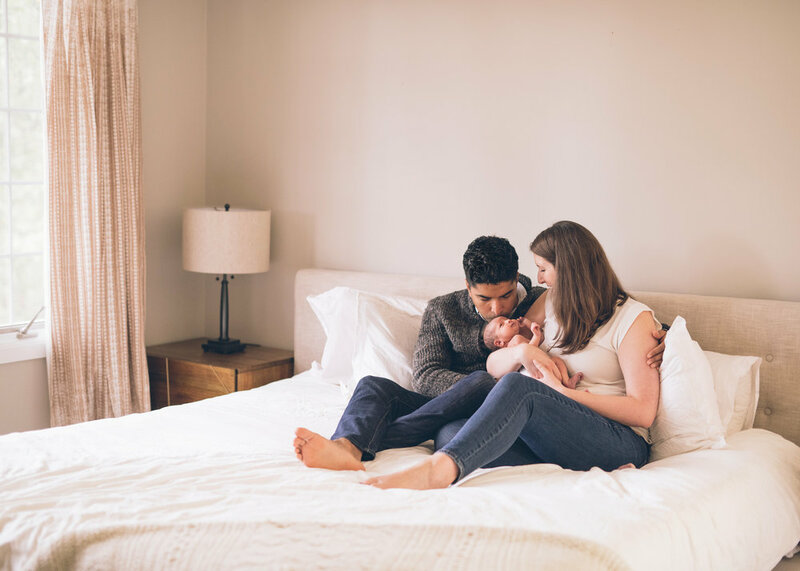 The session was so easy for me and I really enjoyed Molly and Manju’s company and once it was all over, I was so excited to meet their baby girl. Thankfully, I didn’t have to wait that long until their baby was born. Exactly two days after our maternity session, Molly delivered a very healthy and beautiful baby girl. Newborn photo session was scheduled soon after and it was photographed at their beautiful home in the Orinda hills. I’ve been hearing lately terrible stories about professional photographers not being so professional. For example, I have friends who did the session but never got their photos afterwards or in this case where photographer never even showed up to the session. Imagine being all dressed up with make-up and ready to go and then your photographer is a no show. To make sure this doesn’t happen to you, please please please do your homework. Research the photographer and read his/her reviews. Also, it’s a good idea to put down the deposit and sign a contract. There is a lot of us out there which makes the right choice that much more difficult. Family mementos such as images documenting special events in one’s lives have to be important to photographer as much as they are to you. I have been super busy and barely had enough time to breathe properly. This is my busiest time of the year with holidays fast approaching. I love being busy but I completely neglected blogging about my photoshoots which I enjoy doing. I will attempt to rectify this once it slows down but until then, I just had to do this one really quick. 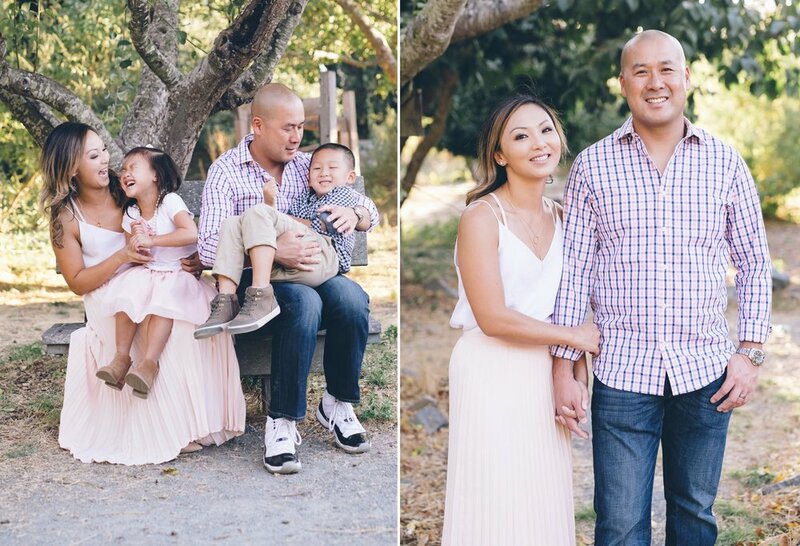 I have been photographing the Wong family for a few years now and with each year photo sessions with them are getting better and better. Their kids are growing and we are getting a little more adventurous when it comes to the locations. 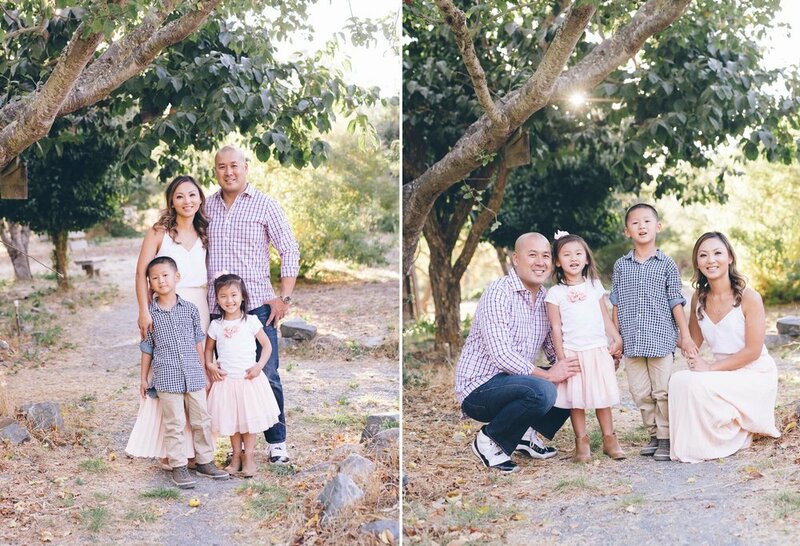 This year we decided to try out the Crow Canyon Gardens in San Ramon. I have never photographed there but as always I am totally open to trying out something new. Honestly, when we first arrived, I had my doubts. These gardens are bordering on being completely wild which is nothing like the name suggests. The terrain is rough and there are no real paths which could be a nightmare for someone in heels. Luckily, the Wong family is amazing, as always. They had complete trust in me and were totally willing to rough it. My client brought her trusty Birkenstocks which helped immensely because we moved around quite a bit. We even scaled down a hill and went to take some photos near the creek. Towards the end of the session, we entered the orchard area and the sunlight was just perfect coming through the tree branches. We pulled out the bubbles and had a lot of fun. I can’t wait till our next photo session. Today’s lifestyle newborn session was twice as adorable. 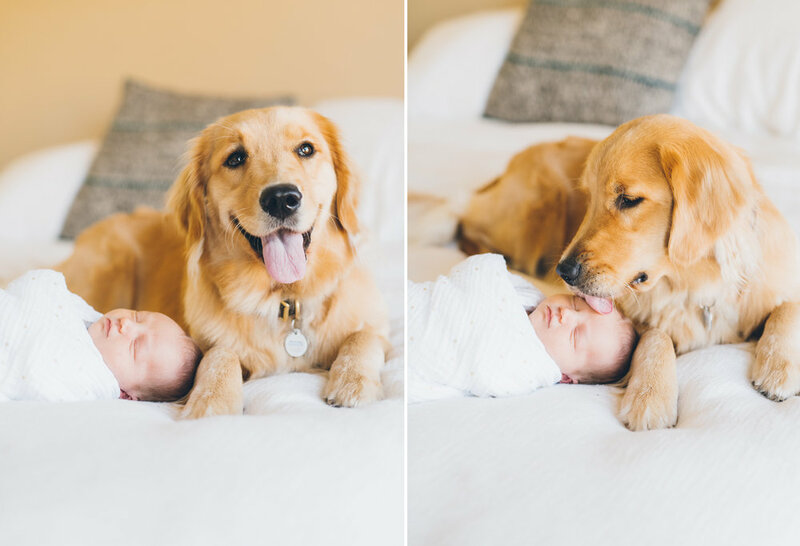 This golden retriever puppy was super excited to sit next to her newborn baby sister. She even stole one kiss. I’m thankful for my fast camera skills because this moment lasted a mili-second.